Europe is one of the best places for architecture buffs in the world. It is a wonderland for design lovers because it has a rich cultural and architectural history. From the classical styles of the Greek and Roman period to the florid Baroque and Art Nouveau, architecture in Europe contains everything of all taste. Each European city has a distinct look and makes you feel that you can identify each one by how the structures are built. The list of the beautiful cities in Europe is so long, but these are the ones which owe their fame mostly to their landscape architecture. Have you ever heard of Antoni Gaudi? He is a famous Spanish architect whose works were greatly influenced by nature. And the best place in the world to experience his art is Barcelona. His works have made Barcelona become the center of Modernism. This city is dynamic, creative, and has many delicious foods, too. 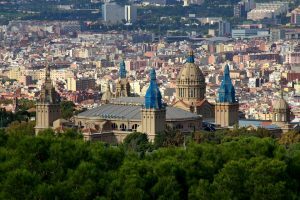 When you visit Barcelona, don’t miss the dream-like buildings of Gaudi, especially his most famous work, the unfinished Sagrada Familia cathedral. Amsterdam, Netherlands’ capital, is famous for its canal and boat homes. Along the river, you can find the picturesque houses converted into museums, hotels, and offices. 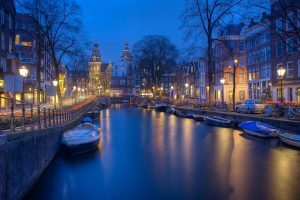 The most excellent way to travel around Amsterdam is walking or driving a bike, that can help you see the canal district and Renaissance architecture that makes Amsterdam so stunning. Just enjoy the cafes by day, the bars by night, and visit some world-class museums in between. 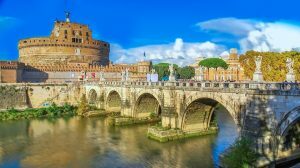 Rome, the ancient city with Roman ruins, fountains, churches, and squares, will not disappoint any travelers. As a cradle of culture, the city is a typical symbol of Roman architecture, especially the Colosseum, Pantheon, and St. Peter’s Basilica. Staying everywhere in Rome, you will be surrounded by world-class architecture. 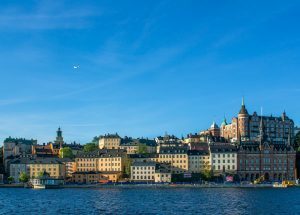 AS a breathtaking coastal capital spread across 14 islands, with the world’s very first twisting skyscraper, Stockholm offers some of Europe’s most diverse architectural landscapes. It instantly impresses everyone with charming medieval streets, traditionally painted homes, immaculate blooming parks, and vibrant waterfront promenades. It sometimes makes you forget that the city has escaped heavy destruction from war. It can be said that Venice is one of the most romantic cities in the world. Just wondering through the city can give you the feeling of the most beautiful architecture in Europe that you’re not likely to see anywhere else. Just ride through the small canals to get a perfect look at Venetian Gothic architecture. 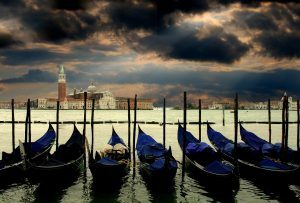 Don’t forget to check out Saint Mark’s Basilica, and spend the afternoon in the beautiful Peggy Guggenheim museum. The building of California Academy of Sciences is nestled on the vast Golden Gate Park of South Francisco. It has become a mixture of different wings that dates back during the year 1916. The original structure is still standing up to this day. There have been some notable changes on the architectural design over the past few years such as the glass trellis that has been implanted with solar cells. Last 2008, the new building of the Academy which was designed by Renzo Piano, a renowned architect, has been opened to the public. The landscape architecture design of the place has astonished various visitors from all over the world. The new structure has the same colour, height, and size of the old building. It still highlights the flat, white wall of concrete. The whole structure has been intended to become energy efficient and was designed to house a new scientific lab, planetarium, aquarium, and museum. Due to the damage that the structure acquired last 1989 due to the Loma Prieta earthquake and the decreasing number of visitors, the authority believes that the structure requires to be updated. Perhaps the structurally astonishing and most renowned part of this structure is basically invisible when you are on the ground. The living field that has been sculpted into valley and hills above the structure symbolises the commitment of the organisation in saving the resources of the planet with its green design. Minimising the design is definitely a great decision. It provides an opportunity to be creative in designing the form of the structure. The architecture proves that he has the capacity to go beyond the standard rational shape and take advantage of the psychological, cultural, and natural sources. The concept of the roof is exceptionally beautiful. The swelling surface of the roof acts as a natural ventilation system of the area. This dramatically decreases the need of the place to have an air conditioning unit. The landscape architectural design on the building creates an ecosystem that supports insects and bird life. 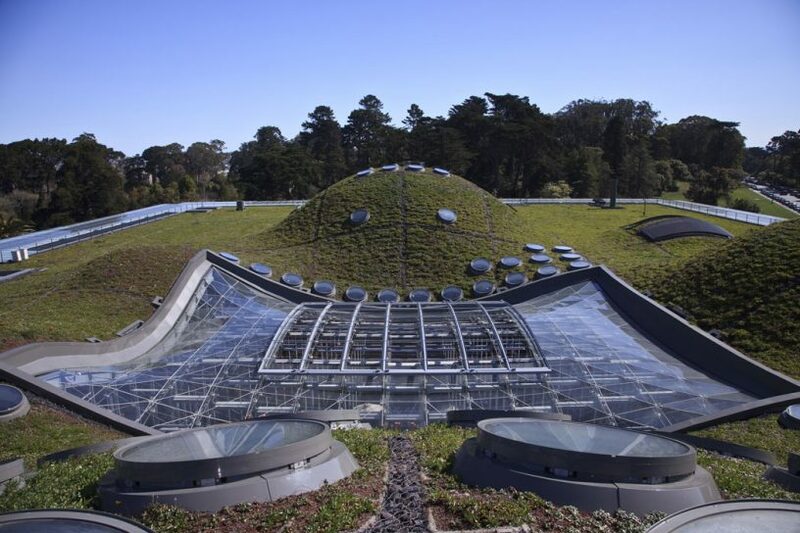 The roof of the California Academy of Sciences resembles a carpet of greeneries that has cloaked the basketball. Perhaps some of the major exhibit in that building includes the balls under the carpet that forms a sphere. Besides the roof of the building, architectural landscape of the area does not literally draw attention, but it is truly functional. The concrete walls have the capacity to absorb heat during the day and slowly release the heat during the cold night. The positioning of the windows is also designed in a way that it will receive air naturally. Some of the part of the old structure has been recreated such as the African Centre. You will still notice the classic design of the vaulted structured that was originally too damaged that the management can no longer preserve them. The new room has been designed with the old concept but with the latest and premium materials. Landscape architecture has evolved since medieval times, and we have seen various changes regarding landscaping. As technology advances, we have seen various improvements in various aspects. These all aim at discovering better ways of doing things and hence a better experience for the people. 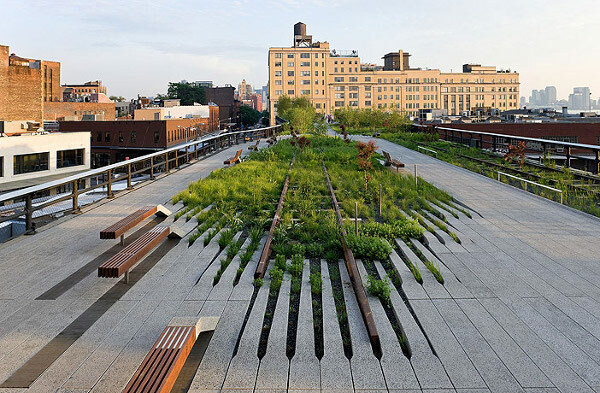 Here are some of the notable changes that have taken place in landscape architecture. During the medieval times, landscaping architecture was done as a poorly sketched diagram. Amazingly, the landscapers were still able to interpret the drawings and came up with appropriate results that suited the times. As times went, technology started changing and as building architecture diagrams were evolving, the same was taking place in the landscaping environment. Therefore, the landscapers in the middle century had better architectural diagrams than those used in the medieval times. In the 20th century, it is possible to do a landscaping architecture diagram within a few hours. Through this, people are able to achieve quicker and faster results as compared to medieval times. The modern-day landscapers are faced with more challenges which are times hard to tackle. Compared to the mediaeval times, there was a larger space that could be utilised as the population was smaller then. However, the modern landscapers are forced to use the little available space economically to make sure space is enough for the many things they want to do with it. This is because of increased population. Both the residential areas in urban and rural areas have become smaller than used to be. The urban population is also growing rapidly leading to demand better utilisation of space. This has led to the start of various courses that are driven towards making sure the land is economically used. There are also advanced technologies that are aiming at ensuring a better economic use of space. People have become better skilled, and this has led to advanced designs. The architectural designs are accommodating better landscaping designs in the modern-day landscaping. This is compared to the medieval times landscaping where landscaping involved simpler designs. Therefore, people are able to achieve more sophisticated designs than was the case in the medieval times. In the medieval times, people did not have advanced machinery like they have in the modern days. Therefore, it was often done using human labour and other inefficient tools meaning it took a long time to do landscaping than it takes in the modern-day landscaping. In the modern day landscaping, there are better tools which means that landscaping can be done faster than was the case in medieval times. The earth movers are a good example of some of the machines that are used in the modern day making it a good venture. These are some of the differences between medieval times landscaping and modern-day landscaping. As times progress and mode discoveries are being made, we will see better landscaping methods being discovered and hence these changes will go on.